Twenty minutes from that great wonder-of-the-world, Niagara Falls, and two hours from Toronto, sits the historic town of Niagara-on-the-Lake. A haven of food, wine, history and culture, its tree-lined avenues serve as a getaway destination for visitors from the region, in-the-know urbanites and culture-lovers. 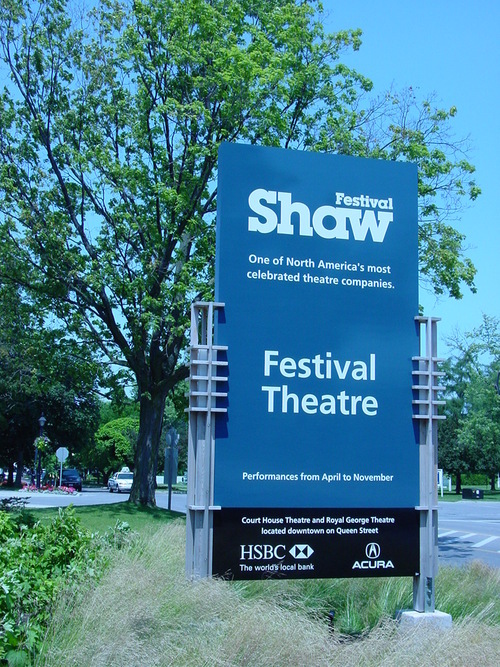 Nestled in the heart of Niagara-on-the-Lake, The Shaw is one of North America’s finest cultural attractions offering an eclectic array of quirky comedies, bold dramas and sweeping classics – some of the best theatre ever created. The 2014 Season features 10 plays in four theatres including the Tony Award-winning CABARET, the beloved comedy THE PHILADELPHIA STORY and Bernard Shaw’s THE PHILANDERER. www.shawfest.com or 1-800-511-7429. Great theatre in the heart of Niagara wine country.